February 28, 2018, 9:22 a.m. Fast-food chain KFC found itself in the headlines last week after many of its restaurants across the country ran out of chicken, forcing outlets to close. Logistical reasons were put forward as the explanation for the shortage, with KFC’s new delivery supplier DHL taking the brunt of the blame. Though the situation could have proven disastrous, KFC has managed to emerge from the incident with its reputation intact thanks to its clever, light-hearted and apologetic advertising strategy. For while people were certainly aware of the story – KFC’s buzz score (have you heard something positive or negative about a brand) declined by 24 points, from zero to negative 24 – other metrics have held-up well. Among those who would already consider buying from KFC, the brand’s impression score (whether you have a positive impression of the brand) did drop from 57 to 49 in the first few days, but has already begun to recover, currently sitting at 51. Among the same group, there has minimal movement in terms of quality score (whether you think KFC represents good quality), which has only dropped one point, from 35 to 34. Much of this could be attributed to KFC’s apology. While KFC limited damage to its reputation, it’s also spent a week being talked about. 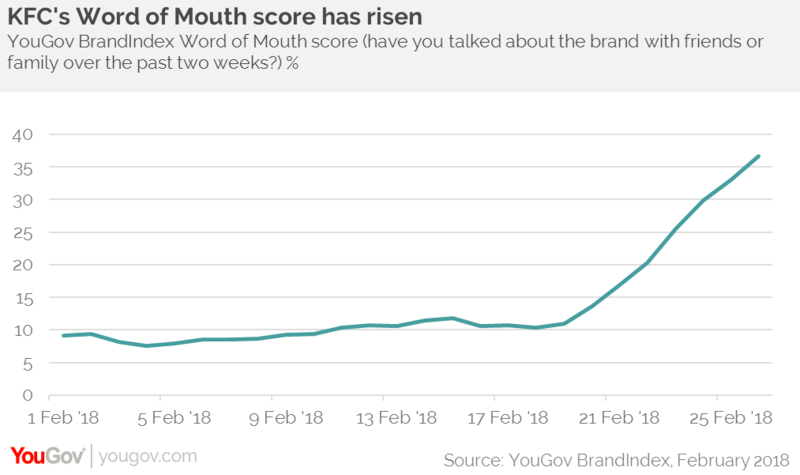 KFC’s word of mouth score (whether you have talked about the brand with friends or family) has jumped from 11 to 37. KFC’s purchase consideration score (would you consider buying from KFC?) 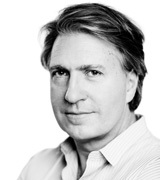 has stayed solidly at the 18 mark, underling the limited damage to the brand.